I have been wanting to try a Moxie Fab Challenge for a while. 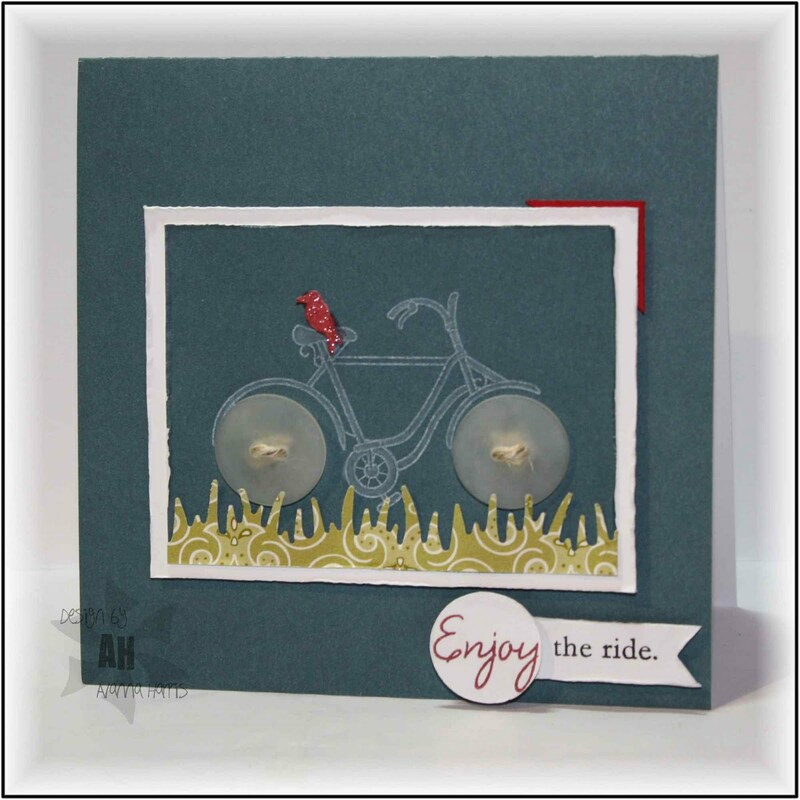 I got this card done for the current challenge, "I Want to Ride My Bicycle Challenge in the Moxie Fab World" on the last day! I am in love with that red Tiny Bird!! 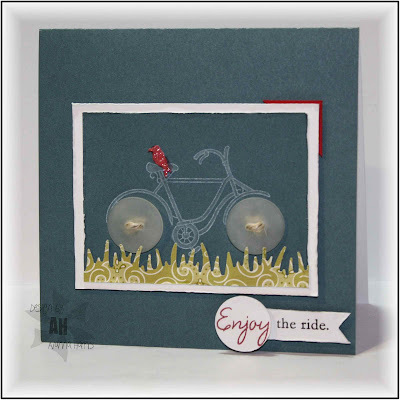 Wow I love the wheels and little birdie. Such a lovely card.